Paths have been cleared for businessman Pádraig Ó Céidigh and mental health campaigner Joan Freeman to get a presidential nomination following the withdrawal of Gerard Craughwell from the race. By falling at the first hurdle, Mr Craughwell has made it much easier for his fellow senators to secure the necessary support to challenge Michael D Higgins. Mr Ó Céidigh is now the strong favourite to get the backing of 20 Oireachtas members. It is understood former ‘Dragons’ Den’ star Gavin Duffy is to announce his Áras intentions in the coming days, while Ms Freeman’s bid is gaining traction on the county council circuit. Last week, Ms Freeman wrote to nine local authorities asking them to give her candidacy consideration – and yesterday Roscommon and Donegal county councils agreed to call special meetings on the issue. Roscommon County Council chairman Ivan Connaughton told the Irish Independent that councillors are likely to discuss a nomination in early September. “We’re open to supporting one candidate and will give them an opportunity to make their case. 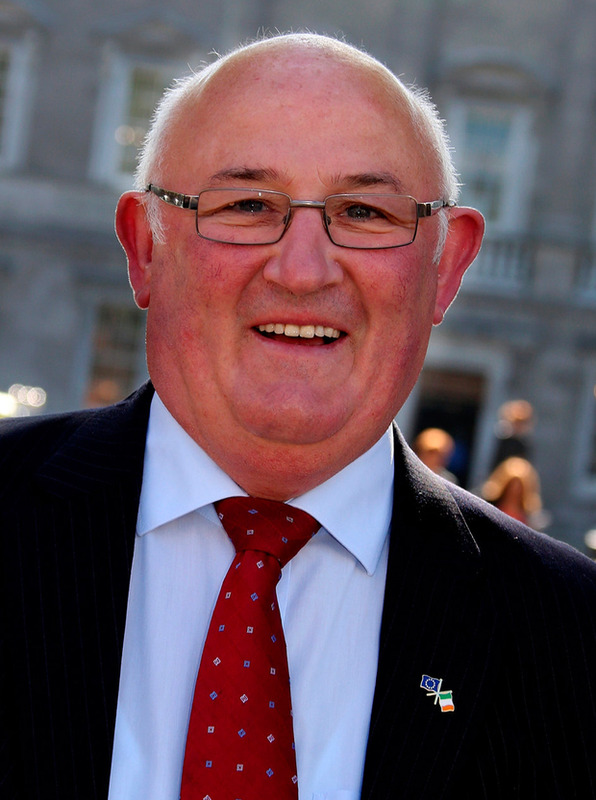 People should be accommodated in the interests of democracy,” the Fianna Fáil councillor said. It is understood the artist Kevin Sharkey and local farmer John Groarke have also written to Roscommon councillors seeking support. Ms Freeman, who is the founder of Pieta House, is believed to have considerable support within the local ranks of Fianna Fáil. It comes as businessman Seán Gallagher, who lost out to Mr Higgins in 2011, claimed he has been directly contacted by representatives from 22 councils who want a role in nominating a candidate. There has been some speculation he is working with fellow ‘Dragons’ Den’ investor Duffy. Mr Gallagher said it was “disappointing” that Mr Craughwell had dropped out because he had fought “a lonely and challenging journey as he battled against the political establishment and their efforts to ensure no political contest for the role of president take place”. Mr Gallagher has remained cryptic about his own intentions, but his letter set out a fresh vision for what he believes the president can offer. He described as “striking” the number of councillors who believe the President should be more active in supporting the work of Government in addressing “the complex challenges now facing the country including Brexit and the threat to foreign direct investment as a result of the changing nature of US foreign policy”. Mr Craughwell said last night he believes his chief aim has been achieved because there will be an election in October. The Galway man denied he was a stalking horse for another candidate but admitted that Mr Ó Céidigh should now have a “free run” at getting the Oireachtas nomination. Sinn Féin is expected to advance its plans later this week by formally putting a selection process in place.